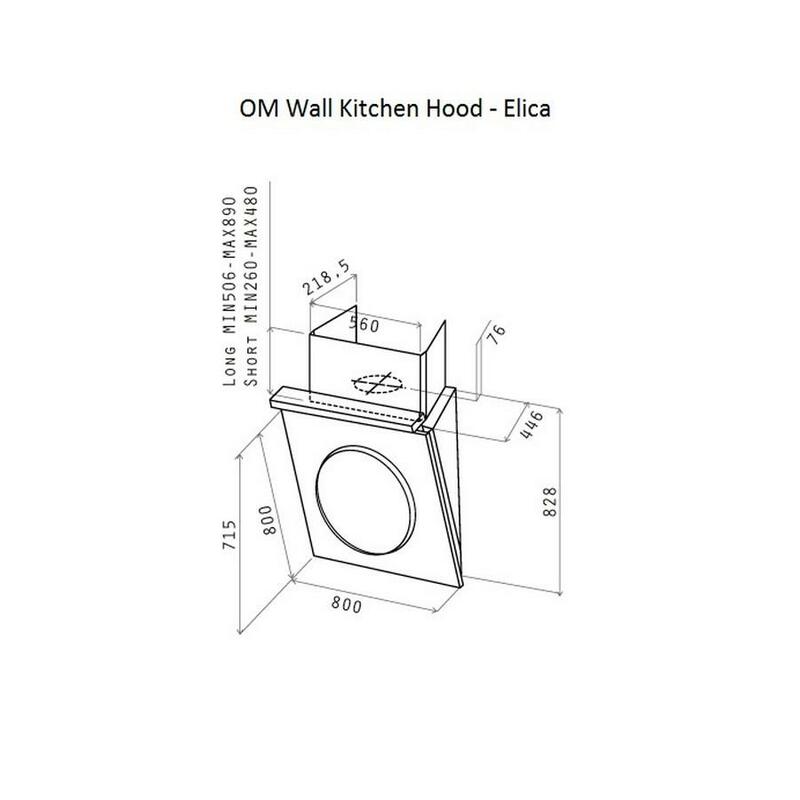 Om wall kitchen hood by Elica is an innovative and minimal hood with simple design and high functionality. 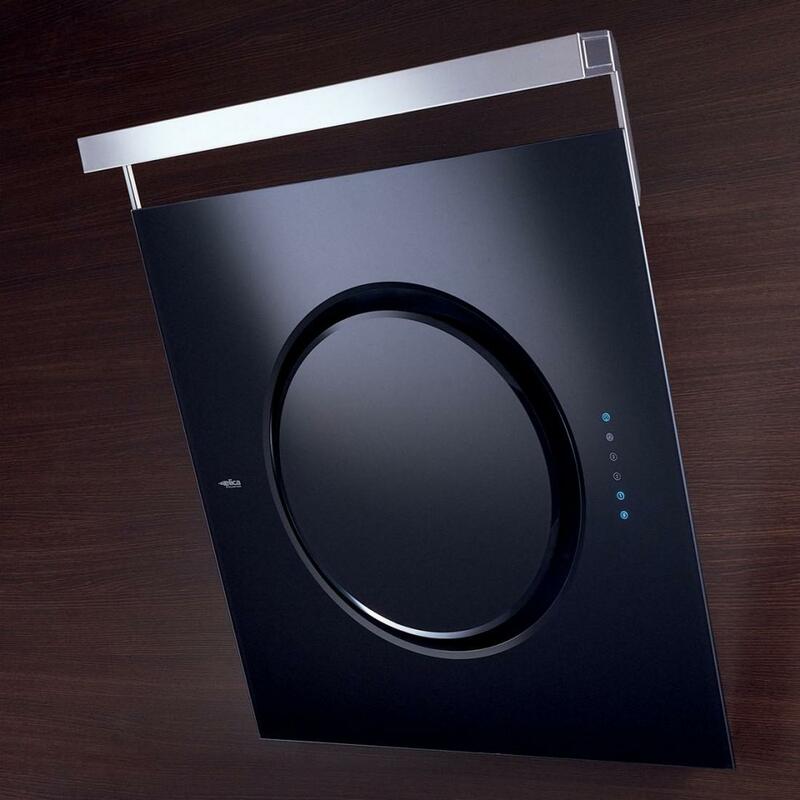 Om is an air recycling kitchen hood made of exclusive high quality material finished in black or white glass with stainless steel details. Its shape and placement protects your head while cooking and the glass surface is very easy to clean. 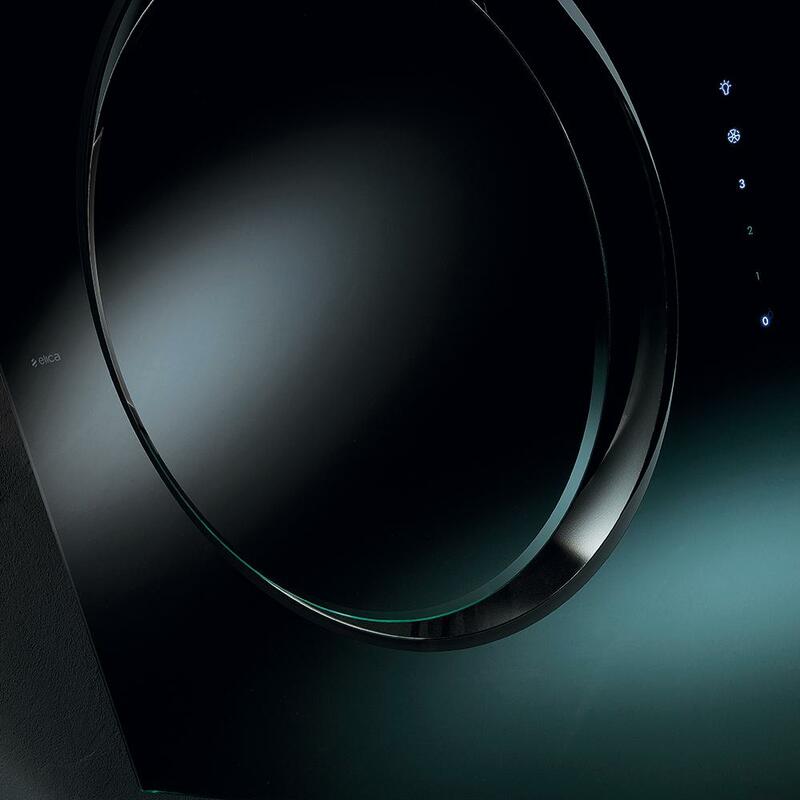 Om wall kitchen hood features a 3V+l touch control buttons and halo lighting source (Halogen 4x20W lighting). 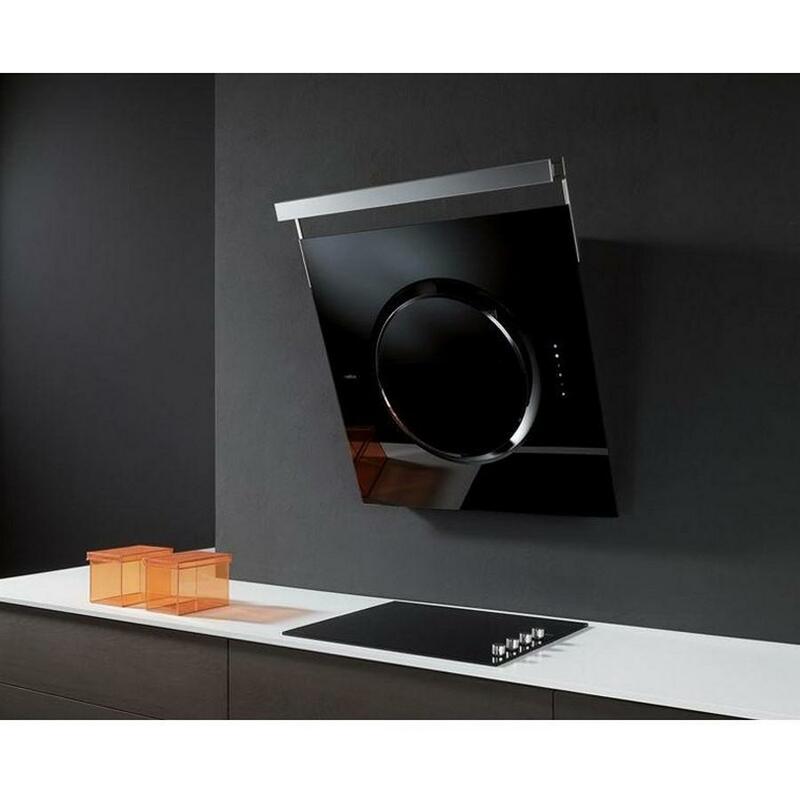 This kitchen hood has one 330W high performance motor with an output diameter of 150 mm. 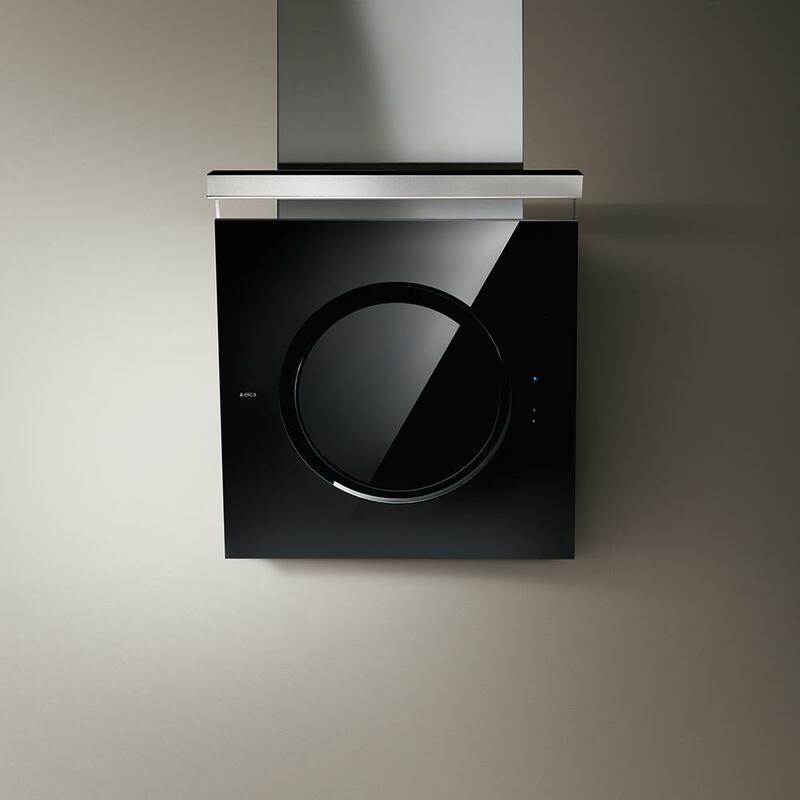 Om wall kitchen hood provides maximum suction at 515 m3/h. It works quietly with noise level from 42 to 59 db(A). Om includes GFA fat filter and carbon filter. The carbon filter recycles and clears the air before releasing it straight into the room or to a chimney throught a flue kit. 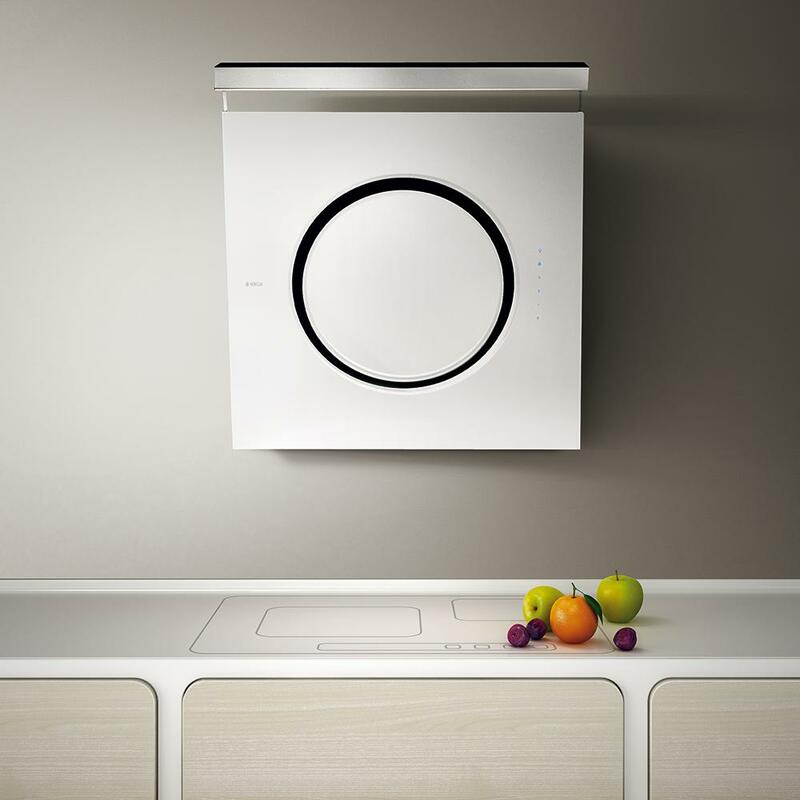 Om wall kitchen unit can be fixed on the wall and has two aspiration exits for those that do not wish the filtered air remain in their room. One on top and one additional in the back. The on top exit is used for both recycling and exhaust of smells. The back aspiration exit can be used for exhausting the smells and completely hide the tubes but requires an in-wall, already installed pipeline system. For optimal air circulation the top aspiration exit is recommended and requires a Flue Kit long (450-450 mm) or short (220-270 mm). Place the kitchen hood at a distance ≥ 30 cm above an electric kitchen and ≥ 35 cm above a gas kitchen. Dimensions: Width: 80 cm. Height 70 cm. 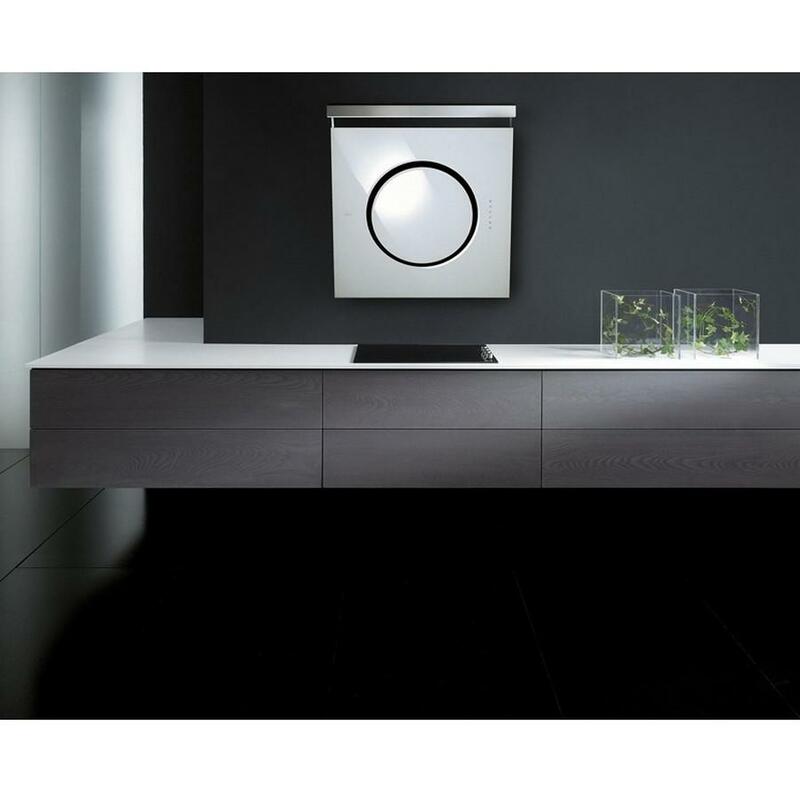 Finish: Black or White Glass and stainless steel. Lighting: Halogen 4 x 20W. Long life carbon filter for air recycling (included). Top aspiration. Additional back aspiration for pre-installed in-wall tube systems. Place your cooking hood at ≥ 30 cm above an electric stove and at ≥ 35 cm above a gas stove.